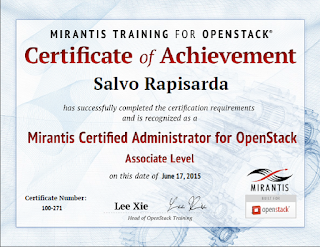 L'AmministraTuri: MCA100 Certification got it! Yesterday I tried to do the exam for certification and I passed. Yeah! For me, the difficult level is medium-hard because online I have not found all material for the preparation. Questions are mixed for all components of OpenStack platform. 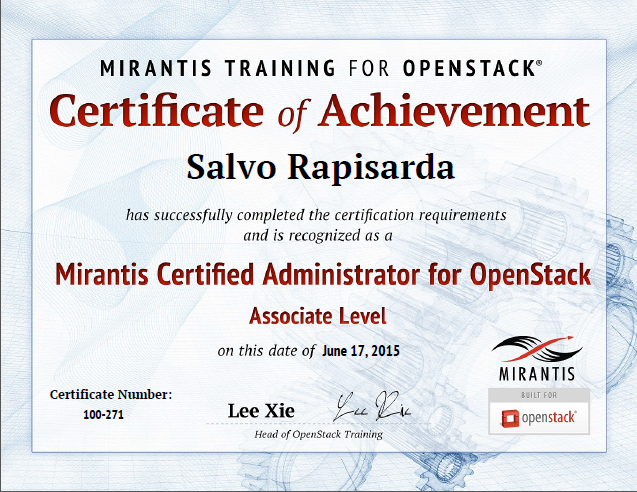 If you think to be an expert of OpenStack and you want to confirm your knowledge I recommend this exam.